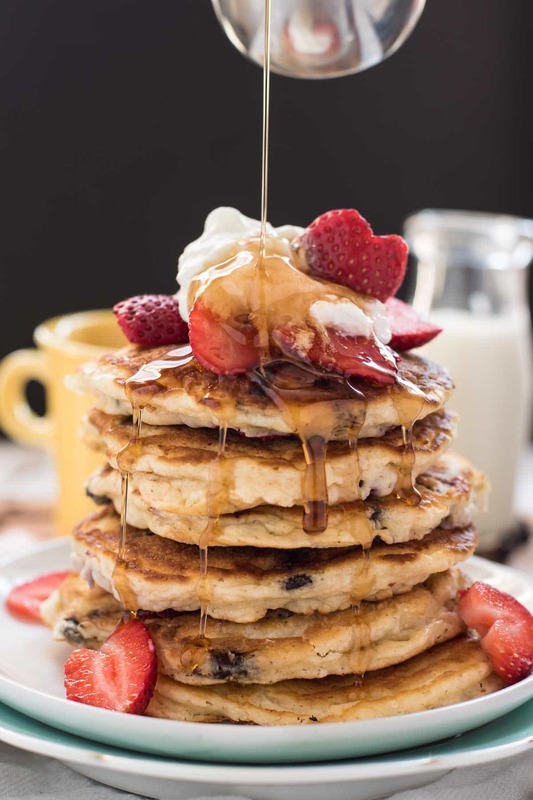 These Strawberry Chocolate Chip Pancakes are the perfect way to party with your gal pals. Today, I’m taking some time to celebrate Galentine’s Day with my dear friend Nancy of gotta get baked and some other awesome lady bloggers! A few weeks ago I saw some strawberry heart pancakes on Pinterest, and I thought they would be absolutely perfect for Galentine’s Day. After all, if there’s one thing my lady friends and I appreciate, it’s adorableness. And what could be more adorable than waking up to a platter of fluffy buttermilk biscuits studded with strawberry hearts? Well, I set to work, starting with my favorite Perfect Fluffy Buttermilk Pancakes. No worries there. That recipe has never failed me. But then it was time to work on the strawberries. I mangled three or four before I managed to get some decent, non-symmetrical hearts, but things still seemed promising. Then came the frying. Shouldn’t be too hard, right? Wrong. I tried everything, but every test turned out pretty much the same–disfigured strawberries, goopy pancakes, or bits of strawberry obscured by pancake batter. This one was the best I got. I realize it’s not horrible, but this was the one pancake out of probably 20 attempts that actually sort of looked like hearts. At this point, I thought I’d have to trash the whole idea and start over. But then I remembered there’s one other thing my gal pals love: a classic Pinterest fail. I think there’s a good reason we get a kick out of a Pinterest project gone sour: We love to know we’re not alone. 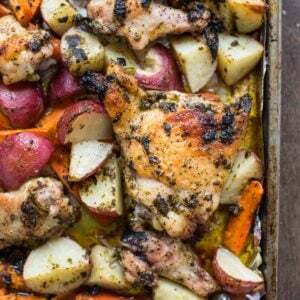 We like to know we’re not the only ones who burn dinner, accidentally wear our shirt inside out all day, or spill glitter all over the kid’s Valentine’s shoebox. Here’s the truth: we weren’t all cut out for heart shaped strawberry chocolate chip pancakes. Some of us (me) just need to make regular shaped strawberry chocolate chip pancakes. Cute food is not my gift. The joy of Galentine’s Day is celebrating all the amazingly unique and talented women in our lives–whether they’re teachers or moms or lawyers or crafters or writers or trainers or brain surgeons. Today, we take a break from comparisons and practice supporting each other instead. We celebrate our strengths and choose to let go of the rest–the mangled strawberries, the messy house, the little bit of extra flab hanging out on our waistlines. My fellow gals–you are beautiful, special, and talented beyond measure. You don’t have to do it all. You are enough–just as you are. So whether you have a knack for baking or accounting, just do you. This world needs your gifts. It doesn’t need more of me or your friend or your mom or your sister. It needs you, all in, 100%. 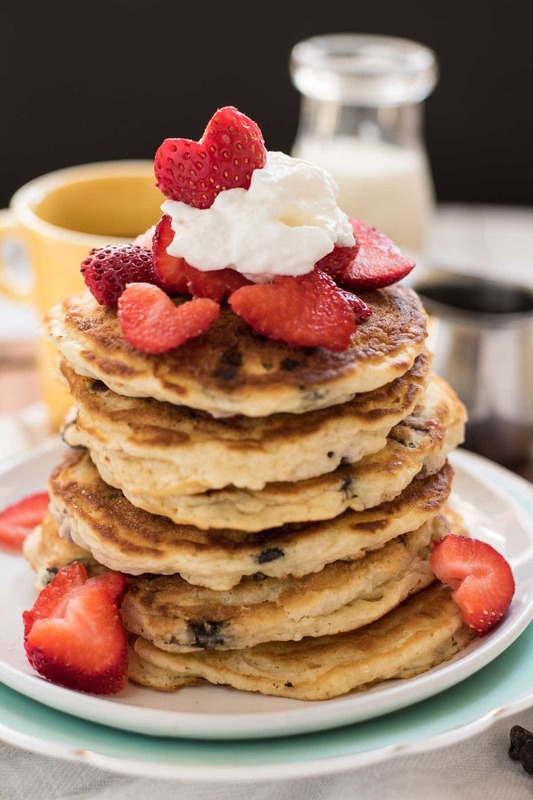 So if you want to make heart shaped strawberry chocolate chip pancakes, go for it! You’re awesome. If you want to just pile strawberry slices on top of the pancakes, do that! You’re a super star! And if you really just want to take a break from cooking and go out for breakfast, I salute you. Have fun! I’ve got a list of all the other ladies’ fantastic Galentine’s Day recipes below. I hope you’ll take a few minutes to check them out and spend some time celebrating your gal pals today. You are amazing. 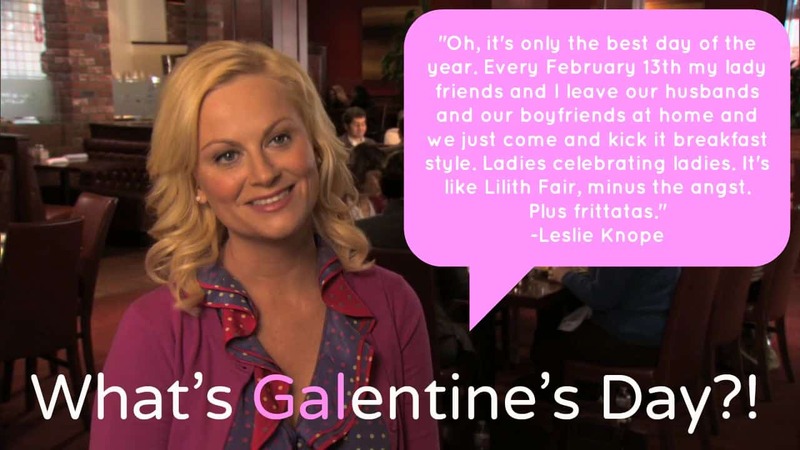 Have a very Happy Galentine’s Day! 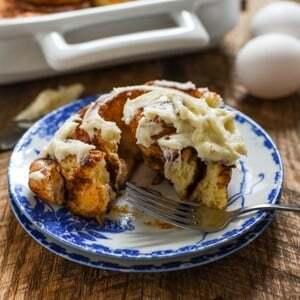 In a bowl, whisk together the flour, sugar, salt, baking soda, and baking powder. In a separate bowl whisk together the egg yolk, melted butter, buttermilk, and milk. Add the wet mixture to the dry mixture. Stir gently with a wooden spoon until just combined. It's good if the batter is still a bit lumpy. Gently fold in the egg white and chocolate chips. Heat a large, flat skillet over medium heat. Put a small amount of canola oil in the pan. Drop 1/4 cup amounts of batter onto the pan, giving it space to expand. Cook until bubbles appear on the surface. If you'd like to place the strawberries in the pancake, layer the slices on at this point. Flip the pancakes and cook for another few minutes or until golden on both sides. Serve with slices strawberries, whipped cream, and syrup. To slice the strawberries into heart shapes, cut them in half first then slice a rounded v through the top of each half. Slice in half again for thinner slices, if desired. You can make these with the strawberries in the batter or simply piled on top. Putting them in the batter is a little more complicated but does make the berries wonderfully warm and soft! More awesome Galentine’s Day treats from these fabulous ladies! I love Galentines Dayyy-thanks so much for helping to put this together! I love how the strawberries look like lil hearts and that there are CHOCOLATE CHIPS! yesss! That sense of always being too much or not enough is something I’ve struggled with my whole life, and I definitely think other women do too. I’m preaching to myself as much as anyone! It’s tough to give up the image of who we think we “should” be and embrace who we are. Work in progress, right? Love you sweet friend! I love that you made heart shaped strawberries too. My girls are standing next to me right now and want me to make these for them for breakfast tomorrow! Happy Galentine’s Day Courtney!! Thanks for hosting again! We do enjoy a Pinterest fail, but I really don’t think these qualify, Courtney. 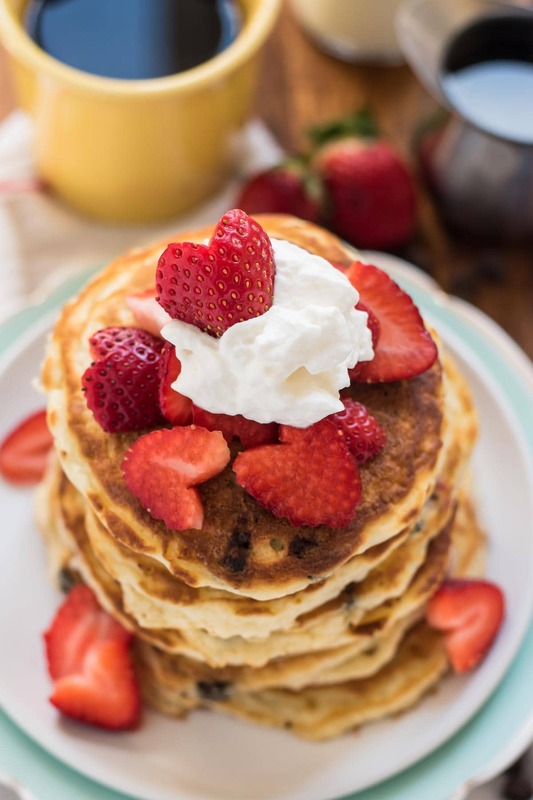 Your pile of pancakes with all the uncooked strawberry hearts on top and around them are absolutely gorgeous! I especially adore the photo with the syrup dripping down. Perfection! I LOVE this story. 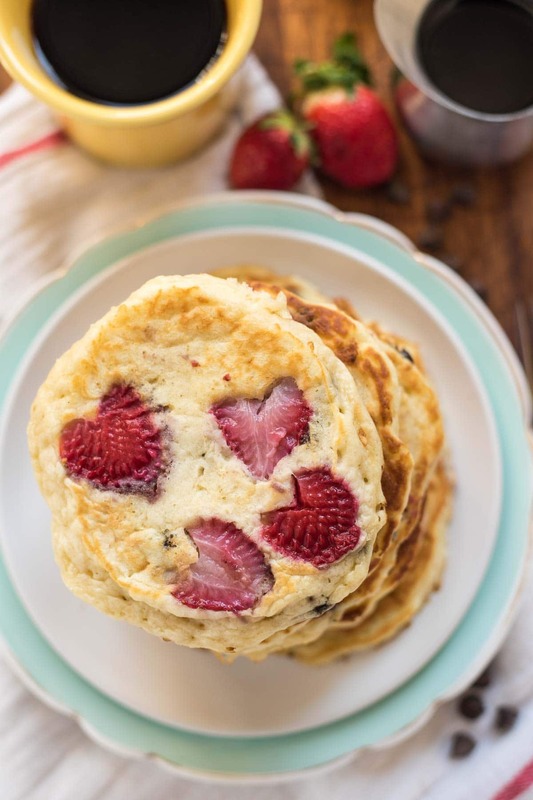 In fact, I feel like I’d be making these pancakes right now if I had any strawberries at home! Love love love this–it’s so good to be sharing the day with you, Courtney! This is the BEST pinterest fail ever 🙂 And you are right, not all of us are made for heart shaped pancakes. But a pile of chocolate chip pancakes with strawberries and whipped cream? Now that is perfection in my eyes. As I recall, this was the chapter that finally made me a firm Team Peeta fan. Throughout the books I had been waffling between the two because I just honestly co;l&nd#039ut make up my mind and I don't normally get involved in the whole team thing in books (accept for Harry Potter where I was a firm Ron/Hermione supporter from Book 3 on). After this I just couldn't get behind Gale anymore because of his attitude and hypocrisy.